Home Unlabelled Future Amazon slates to be powered by MediaTek? 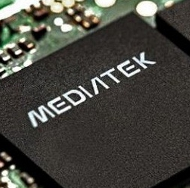 Future Amazon slates to be powered by MediaTek? The future amazon slates might be powered by MediaTek this is according to a published report in China that says that Amazon has signed a deal with MediaTek to supply chips for the Amazon Kindle Fire tablets. The reports also say that Amazon will use MT8135 quad-core chipset which features the ARM's big LITTLE design. Although MediaTek has not yet confirmed this report, but the company did say that it would sign any potential client to a deal.